This attitude to each student is a deserved respect and the desire to return there again. 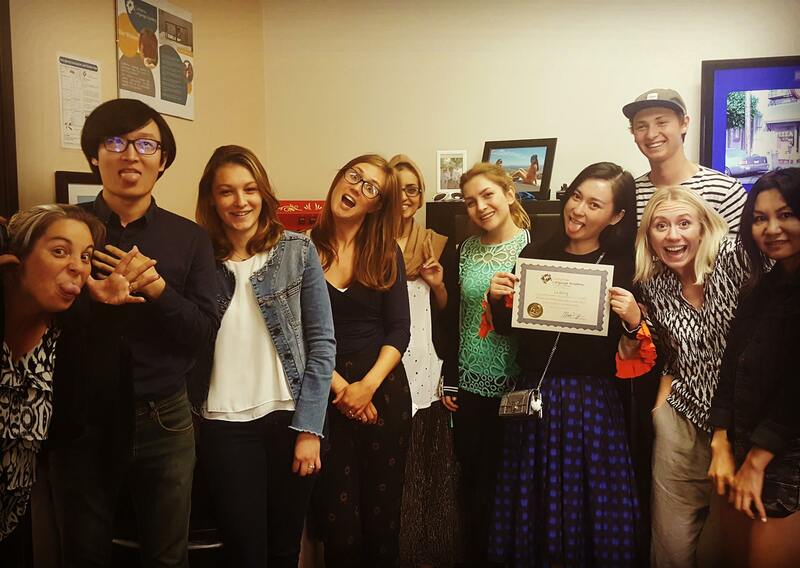 We look forward to personally welcoming you to our fun and unique California Language Academy family! California Language Academy students are a part of our family and we make sure that they are well taken care of with a wide variety of student services, like student-centered lessons, Visa consultation, guided activities and so much more. 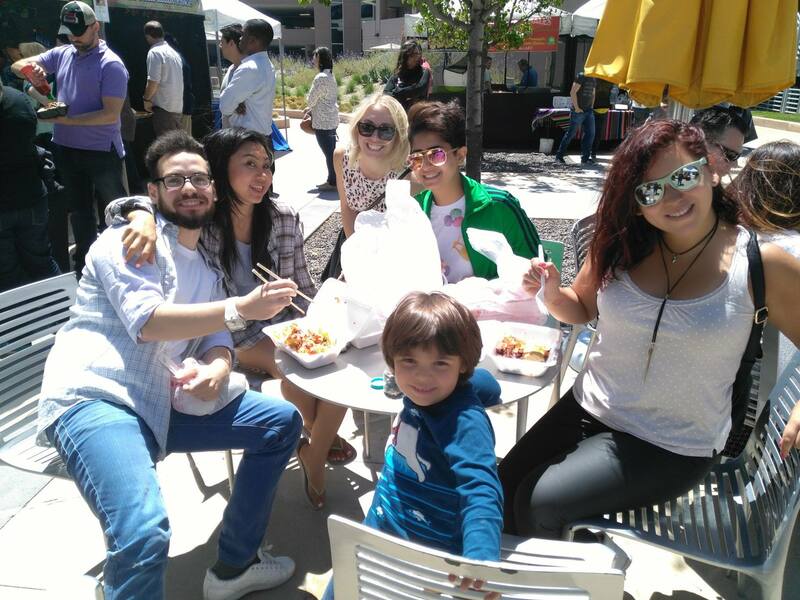 Our school in Los Angeles is located close to restaurants, attractions & beaches. Students are not just a number, they are part of our family. Teachers & staff want to get to know you. Lessons are student-centered and held outside at least once a month for real-world application. Fun in the sun! Maximum of 10 students per class for personal, individualized and student centered lessons. Teachers are highly-qualified, certified,passionate and professional. Classes are conducted in our modern facilities in Los Angeles and San Diego. Open to all levels from Beginner to Advanced and classes start on most Mondays. Planned social outings and “Hot Topics” are woven into the daily lessons for real world practice. Study all English skill areas including: Reading, Writing, Listening & Speaking. Part-time and Full-time options available. The best way to improve your English conversational skills and to learn about Los Angeles, is to live with a local American homestay. You will be welcomed into their family and treated like you are part of the family! California Language Academy students love to meet new people and practice their English language skills as often as possible. We carefully select our homestays families. All families receive CLA’s “Home-Sweet-Home” training. Los Angeles homestays are available year-round. In homestays, you will live with an American family and practice your English skills everyday. Half board (breakfast and dinner each day) included. The school is easily accessible from the homestays. The average commute to/from CLA is 25 – 45 minutes by public transportation. Choice of single rooms or double rooms depending on availability. California Language Academy residence offer you great rooms with fantastic amenities and they are located close to school and fantastic eateries and shopping centers. I did my final year internship at CLA and I had an amazing experience! I also went to a couple of their classes and they are truly helpful. The staff is great and you get to know a lot of other students. I definitely recommend CLA if you want a fun language experience! California ESL was a great experience for me, I learned a lot with personalized classes, small groups, fun activities outside of the classroom, lunch together in special occasions, everything to practice our lessons, very friendly staff. I really recommend this English school!